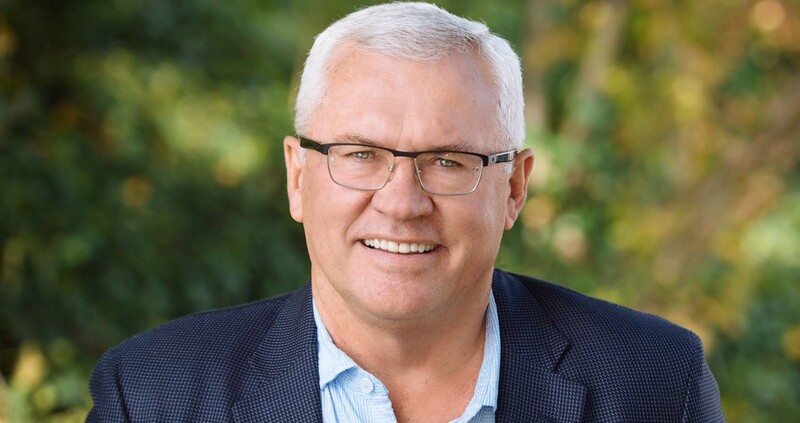 Editors Note: Abbotsford Today has received a package of documents from a confidential source that clearly indicates the potential for collusion concerning a land deal between Abbotsford Mayor Henry Braun and his son, Director of Planning & Development, Darren Braun. Abbotsford Today has shared this story with other media outlets, the Provincial Attorney General, the Department of Fisheries & Oceans, and a copy has been sent to both Henry and Darren Braun for comment. We will publish their response, and any other updates, as we receive them. In 2007, Darren Braun bought a 3/4 acre, mature forested, steep slope, lot with a stream on Locarno Court, Abbotsford (PID Number 005-563-861). In late 2007, Darren Braun submitted a proposal to subdivide his 3/4 acre that included piping the stream, a part of fish bearing Marshall Creek, removing trees on the rich riparian area, forested with trees up to 6ft in diameter and then back filing the proposed piped ravine to facilitate subdivision. Local residents residents objected strongly to the proposal on the grounds that it was brutally out of character, environmentally destructive, and likely did not conform to city guidelines. It was also argued that development on the site was contrary to the prevailing Land Use Contract. On this last matter it appears that the City sought external legal counsel’s opinion. The subdivision proposal was rejected in a meeting of Abbotsford’s Environmental Review Committee (ERC) on July 10, 2008 by the Federal fisheries body, the DFO, who attended that meeting. The stream was declared by the DFO as “Fish Habitat”, with DFO policy being to preserve such areas. Mr. Henry Braun was in attendance at that meeting of July 10, 2008 on behalf of his son, and was notified of the refusal at the meeting. Darren Braun was notified in writing as the applicant. In its deliberation, the ERC need to ensure that the outcome from the amendment or variance will not provide less protection that would result from the detailed QEP conducted assessment (SPEA and measures). However, the ERC may decide on a result that would provide additional protection beyond that required by the RAR…. Editors Note: There are provisions in the DFO policy for providing “less protection”, however, in all cases, the DFO must be notified and/or provide approval for any variance. To our knowledge, the DFO ruling at the time of the original application for development was denied and no further interaction or communication occurred with the DFO. Further, in 2008, Darren Braun did not work for the City of Abbotsford. He is now the Director of Development Planning and the responsibility for such an application today would lie wholly with him and his subordinates. Darren, and Henry Braun, knew that this lot was not sub-dividable, according to the DFO ruling in 2008, but attempted to entice buyers with the notion that it might be possible. Editors Note: In fact, a buyer did inquire by sending an email to the City of Abbotsford Planning Department. That email, revealing buyer interest, was immediately forwarded to Darren Braun, the owner of the property. While the forwarding of the email is a regular course of business in the Planning Department, there is no policy in place to keep a clear conflict of interest like this from happening. Darren Braun should not have received the benefit of knowing a buyer’s interest in his property outside of the correct channels of negotiations that occur in real estate transactions. The interested party even included the Property ID number, which could easily have been flagged in the Department so that Darren Braun would not be included in on any communication. The property did not sell and it was eventually de-listed. In February of 2018, the ownership of the property changed. It was now owned by Korban Holdings Ltd.
A search of the Corporate Registry confirms that the owner of Korban Holdings Ltd. is current Abbotsford Mayor Henry Braun. On March 18, 2018, a new Development Application is submitted to Abbotsford City Hall. This time, the application is not for a subdivision, but rather for a variance on set back from the creek running through the property. This creek was deemed by the DFO as fish-bearing in 2008. The new application, submitted in good faith by a third party who is likely considering the purchase of the property pending development approval, includes a new environmental assessment, completed by a different consultant than the consultant who provided the original report the DFO used to reject the application. This new report is wildly different than the original. With all the paperwork completed, this Application would now go to the Development Planning Department where Darren Braun, who is now no longer the owner of the property in question, would be free to review the submission. The DFO leaves these decisions up to the local Environmental Review Committees which are staffed by Darren Braun’s subordinates, and may include Darren Braun himself. Since the application is a new application for a different variance, there may be no requirement to involve or notify the DFO at all. At no time has Henry Braun disclosed this potential conflict to the public or City Council. He has repeatedly stated that working with his son at City Hall would not create problems. In 2017, Darren Braun attempted to sell the property in question. It did not sell. In March of 2018, a development application is received in the Planning Department that now Darren Braun, no longer the property owner, may access and possibly rule on. Prior to 2018, Darren Braun was the property owner and would be in a direct conflict of interest if he should be involved in the approval of the development application. The sale of this property may very well be contingent upon approval of the development application. By transferring the ownership from Darren to Henry Braun, Darren may now be involved in approving the application. The optics of this timely transfer of ownership puts both Henry and Darren Braun in a position of alleged collusion and conflict of interest. Why did you transfer ownership of this property from Darren Braun to Henry Braun before the submission of a new development application by a prospective buyer? Why did you not disclose this activity to Council or the public? Did you inform the current potential buyer of the previous DFO ruling on the property as a fish habitat? Why did Darren attempt to sell this property with the notion it could be subdivided when you both clearly knew that it could not be? Why is there no policy in place for handling communications in the Development Planning Department for any employee who owns property? While city employees are not elected and therefore certain disclosures are not necessary, in the Planning Department, the potential for conflicts of interest are high. Why is there no policy, even one that protects privacy by being reviewed by outside counsel, in place for employees and their financial interests in the Planning Department? This allegation does not seem to be in isolated incident. Abbotsford Today is currently working on background for similar stories. However, the series of events described above, as provided to Abbotsford Today by a confidential source, raises some serious questions, on this singular issue, about judgement and transparency. This is the second Mayor of Abbotsford in recent memory to be involved in scandalous behaviour. Abbotsford has among the highest number of churches per capita in Canada, which accounts for its label as ‘bible belt country’. So many churches here would lead one to believe that Christian values such as honesty would be one of the most important amongst its citizens. So, does church-going mean only that it is a good cover for bad behaviour? Getting back to past behaviour of other mayors, Mayor George Peary was soundly rejected when he sought re-election. Perception was everything — some thought that Peary’s strong support for the project meant that he was receiving a kickback from the developer, but there were multiple other reasons — why so much secrecy surrounding the deal, why was Mission not included in talks about the new project? It all smells bad, and it’s surprising to me that the parties involved did not know how the public perception of the deal was so bad. Is that called being ‘out of touch’ or is it simply that they were so blinded by their attempts to make it a reality no matter what? I guess the ultimate message to the mayor that he might have been ‘out of touch’ was his great surprise that he was defeated so soundly. It’s sad that in today’s political climate this kind of stuff is not surprising — there’s no end to the number of politicians who are in the game for the sole purpose of enriching themselves.